Having clean clothes is not only a comfort but a necessity in today’s life. If your washing machine isn't working properly, it won’t take long for you to realize what a major disruption this can be to your daily routine. If your washing machine is backing up with water, the drain pipe may be clogged. Washing machine drain pipes often get clogged with lint and fibers from your clothes. Unfortunately, many plumbers won’t be available in those hours when you need them most. If you need to do your laundry before work tomorrow, don’t hesitate to call All About Rooter LLC as soon as your machine has plumbing issues. At All About Rooter LLC, we’ve been working on washing machine piping for many years, so we know our way around these systems. 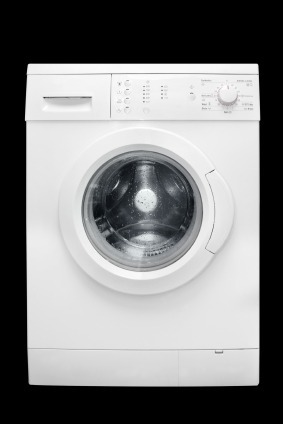 A lackluster washing machine installation can wreak havoc on your water bill, as well as hurt the machine’s performance. For instance, if the drain pipe is installed too low, water will be constantly flowing from your washing machine and it won’t be able to hold enough water. In this situation, your washing machine won’t be able to wash clothes properly, and you’ll be wasting water every time you do laundry. With our years in business, All About Rooter LLC knows how to quickly detect and fix problems like this and many more. Unlike many of those “big box” plumbing companies, we at All About Rooter LLC understand the importance of our relationships with customers. When you call us at (253) 200-1643, you can expect to speak with a qualified, friendly plumbing expert. We appreciate you trusting us to work on your home, and we repay that trust by taking our job seriously. With our 21 years of experience, and quick, reliable, expert service, we've grown to be your area trustworthy plumbing contractors. If you need a quality job done on your washing machine, and you need it today, call All About Rooter LLC at (253) 200-1643 now!